So my pre-teen daughter has become the text message princess. Lori uses text messaging with her best friend and to get a hold of me while I am on on showsite. But what surprised me lately was that many are unfamiliar with how to send a text message to a cell phone from their email – it’s easy! Note 1: if more than 160 characters it will be received in multiple text messages. Note 2: if the receipient does not have text messaging as a feature of their cell plan they will be charged. Okay, so I just discovered a deal that includes a 1 year subscription to iCLIPART.com, which was yesterday’s post. With 2 rebates you can purchase the entire ClipArt 3.5 Million image collection from Buy.com for nothing (and shipping is included!). The boxed set includes a 1 year subscription to iClipArt.com, so now you have it all!! Click here to go to the Buy.com page. If you use clip art in presentations, or any design application, then this may be a good deal for you. The venerable ClipArt collection from IMSI (who remembers purchasing the 30+ CDROM sets….) is entirely online – and searchable! Of note this is just the vector clipart, not any of the photos, fonts, sounds, etc. and is at a clip-art only site iCLIPART.com. Special pricing drops the year subscription from $99 to $29. Although I do not make use of much clip art these days, I do have need of it (in vector format) when developing custom graphics or template backgrounds. Thought some people could make use of this. Most of December was posts highlighting many of the great graphics tools in PowerPoint 2007. I have been contracted by Eli Journals to do a live 1 hour webinar covering all the new PPT2007 graphic tools and lots of tips-and-tricks. You can check out the details at this page on the AudioSolutionz website here. NXPowerLite – version 3.5 now available! I have been a long time user of NXPowerlite, a great presentation optimization application. Just recieved notice that they have released version 3.5! What is great about this version is that it is compatible with Microsofts new Open XML formats (ie. Office 2007’s .pptx, .docx, etc.). It has better Outlook integration, is a free upgrade for v3 users and is even available in Chinese! Read about all the features and download a full function trial from their website here. One of the great features of PPT 2007 is the ‘Change Picture’ tool. From a programming perspective this was not a monumentus task to implement because all inserted images are now automatically an autoshape with a fill effect (in this case filled with an image). In previous versions if we went through the steps of creating an autoshape, doing the custom fill and being willing to live with some design limitations we could update the fill effects with a new image. The advantage was any animations would remain intact. The disadvantage was a lot of extra clicks. 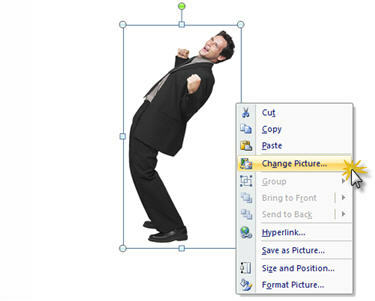 With PPT 2007 changing out an image is just a matter of Right-Clicking the image and selecting the CHANGE PICTURE command! 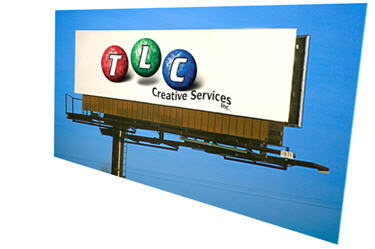 Virtually any adjustments made to the original image are maintained. Animations, rotation, dropshadows, bevels, and the new image is automatically scaled to fit in the existing bounding box (which may or may not be exactly what you need). 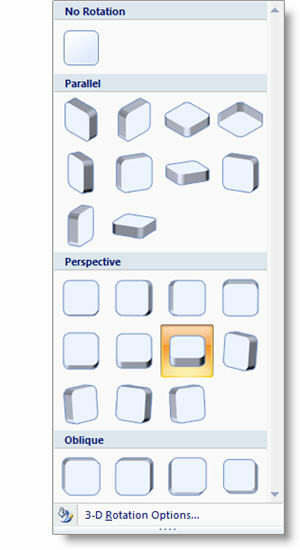 – Select any objects that need to be grouped. – Then group with a simple CTRL + G! The new feautre is that now any of the elements within the group can be selected AND adjusted. 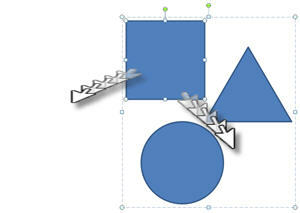 It can be moved (the group bounding box adjusts so it is not constrained to current group dimensions) or, rotatated or virtually any other adjustment – all while maintaining the group attributes. 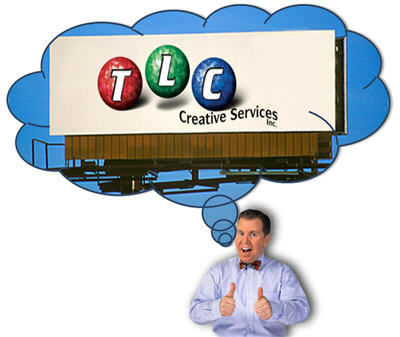 So with PPT 2007 we can quickly create fun, and editable, graphics. Using a stock photo and our sample image I quickly created this slide in about 45 seconds. 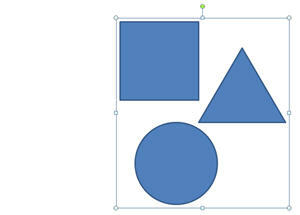 – I first set the image to appear in an autoshape (thought bubble). – Then I used the autoshape adjustments to move the thought bubble trail to our characters head. – I applied a stroke to the autoshape, colored it (dark blue) and made it thicker. – Last I applied a drop shadow to the thought bubble and the character. The ability to add perspective to images, and maintain editability/adjustability adds some great design tools. Here is my sample image with two 3D perspective styles applied. Both of these styles were applied in a matter of seconds from the preset options.